Protecting your boat has never been so easy! For vessels, which mostly cruise on inland (fresh) waters, we recommend aluminium anodes, since aluminium has a greater difference of potential with other metals than zinc. This is very important, as fresh water provides a higher electrical resistance than salt water. 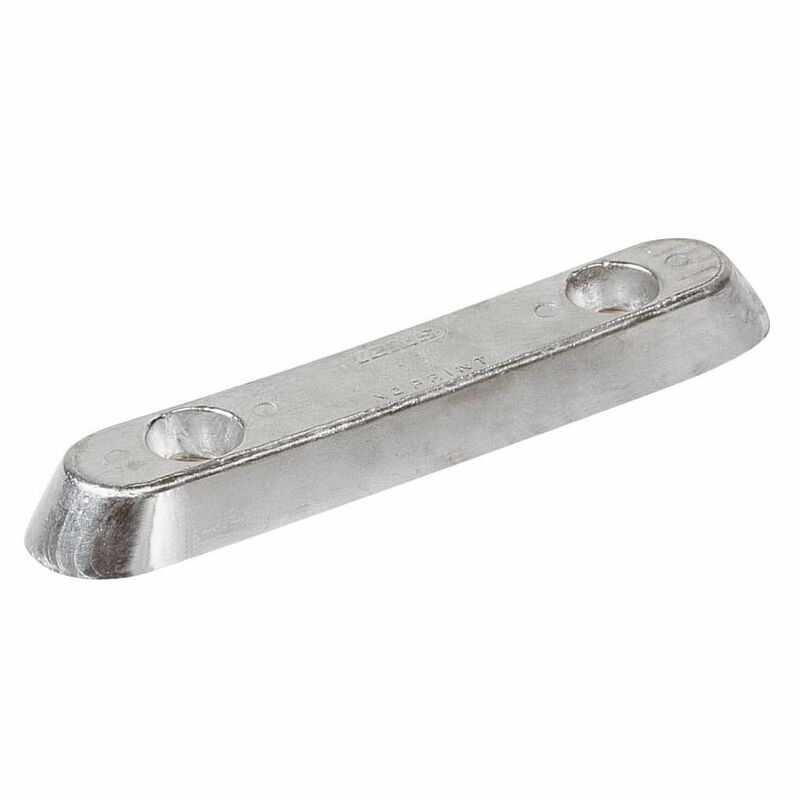 For sailing on salt water or brackish water, we recommend the use of zinc anodes. Aluminium anodes also function well in salt water, but are sacrificed at a much faster rate. There is also a choice of either rectangular or tear-drop shape to perfectly match the flowing lines of the boat. The material used for VETUS zinc anodes is of the highest U.S. Mil.-A-18001 K. specifications. VETUS aluminium anodes are made from an aluminium-indium-zinc alloy Mil.-A-24779 (SH).